The website at Crown Dental Group.com.au is an avenue for online information and communications. It also outlines all the Services that we provide. Throughout this site ‘We’ have delivered information. The nature of this information can be in regards to general dentistry/specialist dentistry and cosmetic procedures it is not tailored or specifically addressed to a particular issue or condition. By Accessing information from our website, you are agreeing to abide by using this information to educate and inform yourself with regards to the specific data. If this of your concern you would seek professional help and not self-treat .substitute or diagnose. 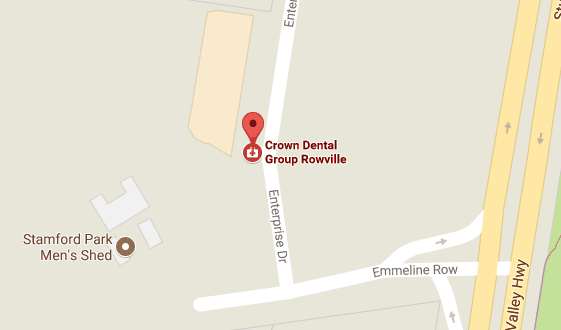 Crown Dental Group does not take any responsibility for material posted by third party users that link to our website. CDG will not take responsibility if this website is violated by third party users. Use of this website is completely voluntary and at the sole risk of the user. We may modify this Agreement at any time. Any modifications made to this Agreement will be effective immediately upon posting on the site. By accessing or using the Service, you agree to bind by all of the terms and conditions of the Agreement as posted on the Service at the time of your access or use. You agree to review the Agreement posted on the Service each time you use the Service so that you are aware of any modifications made to this Agreement. CDG cannot warranty or guarantee any treatment done, all treatment would be performed under informed consent of the patient. Depending on the nature of treatment the prognosis of treatment cannot be guaranteed as it is multifactorial. All Marketing/advertising /offers are the property of CDG. CDG can change, modify and terminate this and at any given time without prior notice. We would advise all users to contact us with ongoing offers/promotions and its conditions. Pictures posted in regards to treatment and results of treatment would vary with individuals. The time frame of a proposed treatment can vary with individual treatment depending on patient factors, clinician and lab factors . If you violate these Terms and Conditions of Use, your use of this site will be terminated and may not be offered an appointment to see our clinicians.. We may notify you that you have breached the Agreement. We would not TOLERATE ANY physical, verbal or emotional abuse from any of our users /patients. We shall not be liable to you or any third party for any such termination or discontinuance.